Gary Madine scored 10 goals in 42 outings in 2016-17 to finish as the club's joint top scorer with Josh Vela. 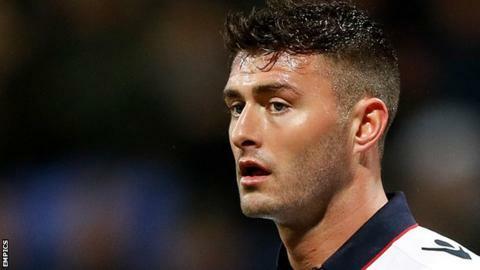 Striker Gary Madine and defender David Wheater have signed new deals at Bolton after promotion to the Championship. Madine, 26, who has scored 16 goals in 78 appearances for Bolton, has signed a new two-year deal. Wheater, 30, has made 167 appearances for the Trotters and has agreed a new one-year deal with an option. "Hopefully, we will have another season like last and I don't see any reason why not with the quality we have in the squad," Wheater told the club website.